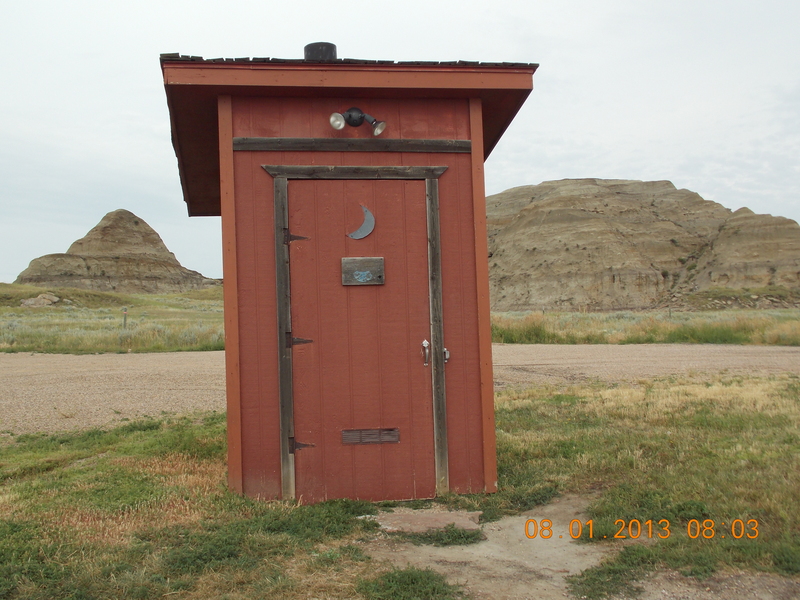 Just a short drive one lonesome cowpoke uttered to me at the “filling station” in South Dakota. Was he thinking that I had a jet car or an aeroplane? I have a rental car, and must travel by good old-fashioned blue highway. But since I am in South Dakota, why not kill two Dakotas with one airline ticket? North Dakota, much like South Dakota, was split into two form the original Dakota Territory. The reason for each state is the same, to gain more representation in Congress. I cannot be sure if that is a good thing! But the area gained two US Senators, and 2 Congressmen by my math. Our 29th state borders two Canadian provinces, Manitoba and Saskatoon. Minnesota lies ominously to the east, and the great state of Montana to the west. Gee, I wonder which state lies to the south? Bismarck is the capital, and the largest city is Fargo. It is the third least populated state behind Wyoming (expected), and Vermont) (unexpected). The boom in natural resources has been great for North Dakota, in the form of oil extraction from the Bakken formation. The state is home to Theodore Roosevelt National Park. 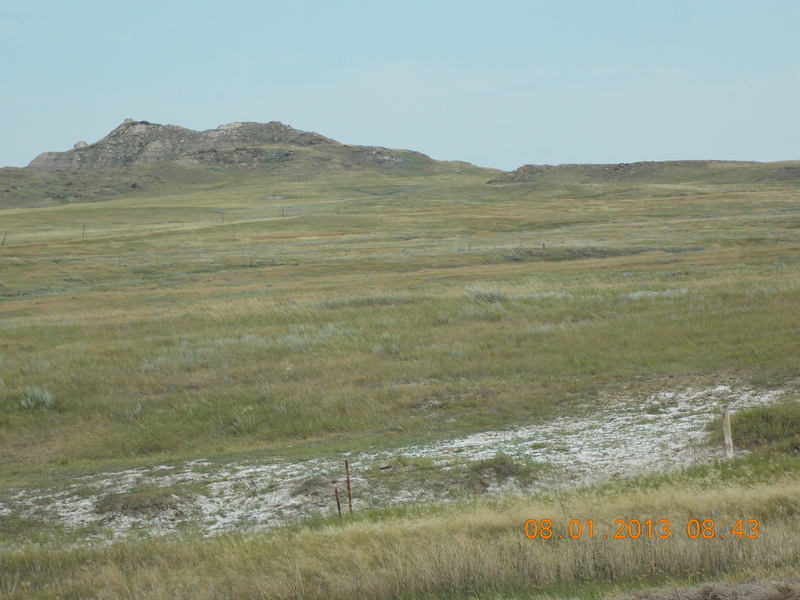 Most of the state is covered in grasslands. The western half is the hilly Great Plains. The eastern is the Red River Valley, as sung in the old cowboy song. The middle part is Drift Prairie and Missouri Plateau. This is a state with fewer than 700,000 residents as of 2012. Most North Dakotans are of European ancestry, with Germans at 47% and Norwegians at 30%. The ethnic composition is 90% white and only 5.4% Native American. North Dakota has the most churches per capita in the United States. They also have the greatest number of Native Americans. The list of famous people here include: Lawrence Welk, Jonny Lang, Lynn Anderson, Bobby Vee, Josh Duhamel, Warren Christopher, Angie Dickinson, Phil Jackson, Roger Maris, Sacagawea, and Ann Southern. Someone told me that Fred Flintstone wanted to move here, but Wilma decided against it. But as expected, agriculture is king here, followed by petroleum, food processing and technology. It is the only state with a state-owned bank, The Bank of North Dakota in Bismarck. But wait! There is more, with a state-owned flour mill in Fargo, called North Dakota Mill and Elevator. Yet, North Dakota is the least visited state. Even the Lewis and Clark Expedition came through in the winter of 1804-1805. In my quest to have visited all fifty states, I am here. I do not know anyone from this state. Do you? That is all I can say. Good bye, North Dakota.